The ASMA launched our Community Outreach Program, called the Young Marine Artist Search (YMAS) in 2008, to find young artists interested in maritime subjects, and to encourage museums, art centers, and schools to hold competitions for these young people, often in conjunction with an ASMA Regional or National Exhibition. Once engaged, their work is then exhibited and winners chosen by a jury on which ASMA artists serve. 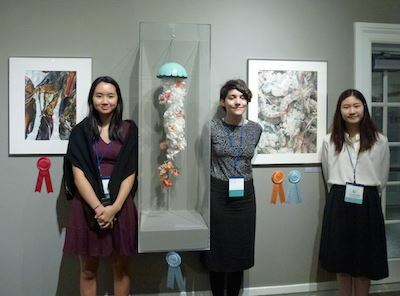 At the opening reception of the exhibition, the top placeholders receive scholarship prizes and awards. In 2013, ASMA introduced the first national YMAS competition. 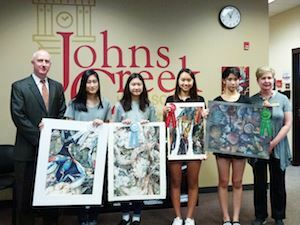 ASMA will continue this quest each year to find more young marine artists, and support these students and their art teachers, who are the key to this program’s success. Click here for a PDF of all the Winners of the 2017 YMAS competition.